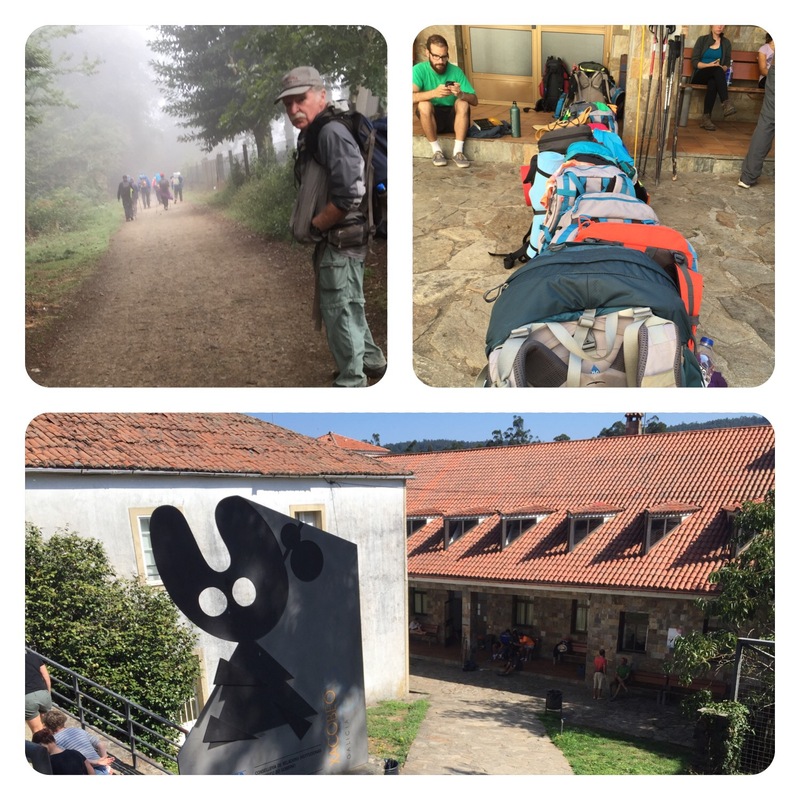 Today was next to the last day on the Camino–the 21 km (13.1 mi) just flew by. I pulled out all of the stops and made the distance in almost four hours flat. And tomorrow we have fewer than 20 km remaining. The fog imbued the journey with a mystical quality while the many peregrinos sprinkled along the way brought to Bob’s mind the image of lemmings running toward the sea to escape their overcrowded environment. There was hardly a segment to be found without pilgrims! Our albergue here in O Pedrouzo is the municipal one (6€ and they have 120 bunks)–and the town has at least a dozen albergues. Backpacks were orderly aligned waiting for the albuerge to open at 1:00 PM–mine was third in line and guaranteed a primo bunk. I can feel your relief and excitement at reaching your destination. There is a spring to your step as you walk the final miles!